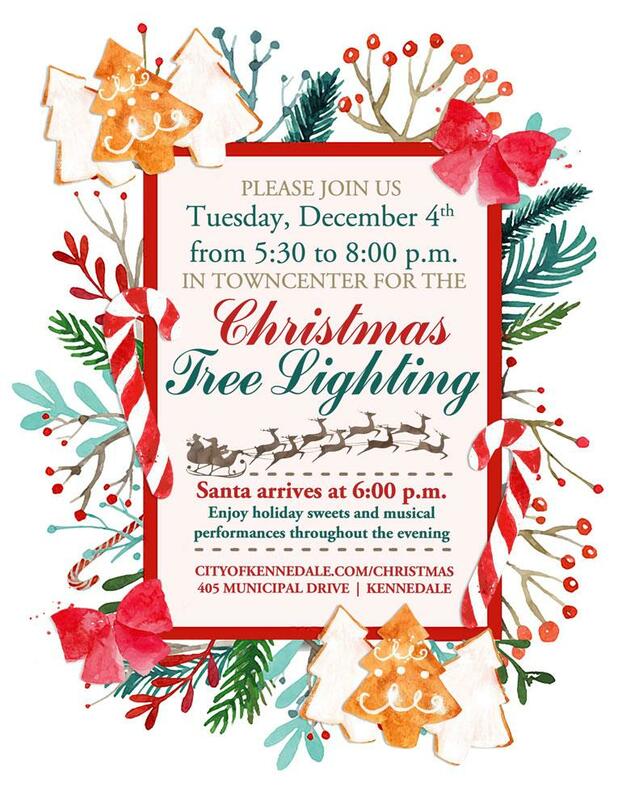 Please join us for the Christmas Tree Lighting Festival Tuesday, December 4, from 5:30 to 8:00 p.m. in Kennedale TownCenter (405 Municipal Drive). You can get more information at www.cityofkennedale.com/christmas. Tuesday, December 4, from 5:30 to 8:00 p.m.